The Lenovo ThinkStation C20x has been discontinued. No direct replacement is available. 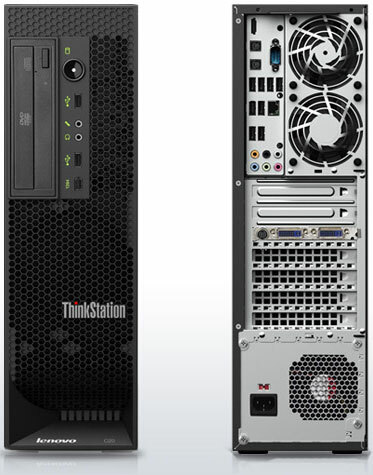 Powered by Intel Xeon 5600 series processors, the ThinkStation C20x significantly improves performance and productivity as against prior-generation technology. This enterprise-class processor offer Turbo Boost Technology, which can intelligently adjust the CPU"s performance and power usage, depending on the user"s workload. The ThinkStation C20x also comes with Error Correcting Codes (ECC) memory, providing greater data accuracy, improving system uptime and protecting against memory errors. For leading-edge graphics, Lenovo has partnered with NVIDIA to bring you the latest in professional workstation graphics adapters, yielding superior application performance and stability.